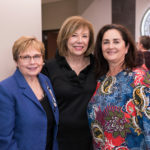 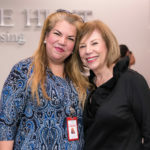 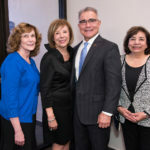 Health care leaders from around El Paso came together Tuesday, Oct. 24, 2017, to pay tribute to Jeanne M. Novotny, Ph.D., R.N., FAAN, as she retires from five years of service to the Gayle Greve Hunt School of Nursing. 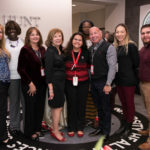 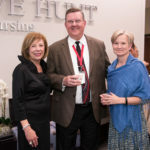 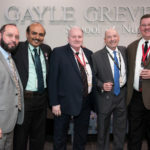 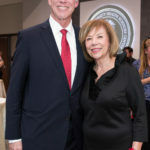 Among those in attendance were Texas Tech University Health Sciences Center El Paso (TTUHSC El Paso) President Richard Lange, M.D., M.B.A.; Dean of the University of Texas at El Paso (UTEP) School of Nursing Elias Provencio-Vasquez; and the GGHSON’s namesake, Gayle Greve Hunt. 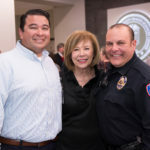 Dr. Lange credited Hunt for recruiting Dr. Novotny to El Paso and told the crowd about some of Dr. Novotny’s many accomplishments, including turning around a passing rate that was stuck in the mid 60s — now sitting at over 90 percent. 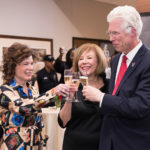 After proposing a toast in recognition of her contributions to the nursing school, Dr. Lange gave Dr. Novotny a presidential plaque reserved for those who have served at the university for 20 years or more. 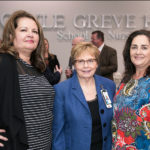 Though Dr. Novotny will remain at the school for a few more months as the search for her replacement continues, she said she is looking forward to some long hiking treks in retirement. 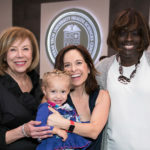 She has plans to return to El Camino de Santiago in Spain and wants to hike parts of three great, long trails in the United States: the Appalachian Trail, the Pacific Coast Trail and the Continental Divide Trail.